This is what we are trying to help with through the Open Science MOOC. We understand that expectations are changing in how to perform and communicate research, as it adapts to a new age of Web-based technologies. Modern research now demands transparency, collaboration, and a more continuous process. At the Open Science MOOC, we want to help develop a peer-to-peer, value-based community that works towards better science for society. Our vision of the future and ultimate goal? To help make ‘Open’ the default setting for all global research. We aim to achieve this through creating, connecting, and fostering a welcoming and supporting community; a community based around good tools, teachers, and role models. Most importantly, a community that is fundamentally built upon a solid values-based foundation of freedom and equitable access to research. Our community is based around learning, sharing, and collaboration. It is based around empowering researchers with knowledge and skills to save time and effort, solve research problems, and advance global research as a collective. At the present, we have developed everything as openly as possible. All content has been created collaboratively and in the open using our open GitHub project, and all core communications through our open Slack channel. All content we create is licensed either CC0 or CC-BY for maximum re-use, and is constantly released as it is built. The course itself is self-paced, so that anyone can join and complete it whenever they like. And of course, it is totally free to everyone. We aim to be as open and accessible as possible. In the near future, we expect to launch our next module on Open Principles, and are just putting the finishing touches on the content there. We hope that you can join us, and become part of our wonderful community. The future is open, and we want you to be part of it! Disclosure: Jon Tennant is on the Advisory Board of GenR. Simon Worthington GenR Editor-in-Chief is a volunteer contributor to the Open Science MOOC. ‘About the Sustainable Development Goals’. United Nations Sustainable Development (blog). 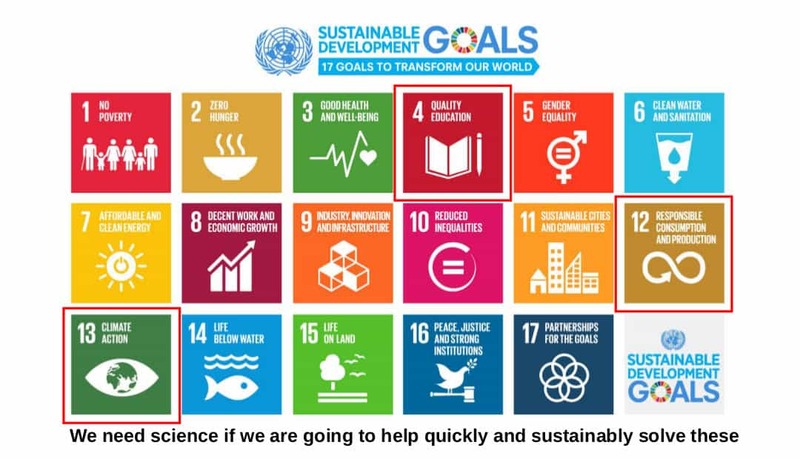 Accessed 1 February 2019. https://www.un.org/sustainabledevelopment/sustainable-development-goals/. ‘Open Science MOOC’. Accessed 1 February 2019. https://opensciencemooc.eu/. ‘Module 5: Open Research Software and Open Source | Eliademy’. Accessed 1 February 2019. https://eliademy.com/catalog/oer/module-5-open-research-software-and-open-source.html. Open Science MOOC. Module 5: Open Research Software and Open Source. Accessed 1 February 2019. https://www.youtube.com/watch?v=BHrOEmKk5zM. ‘Open Science MOOC GitHub’. Accessed 1 February 2019. https://open-science-mooc-invite.herokuapp.com/. ‘Join the Open Science MOOC Community on Slack!’ Accessed 1 February 2019. https://osmooc.herokuapp.com/. Main projects and roles: Founder of the preprint server, paleorXiv (companion website); Founder of the Open Science MOOC (now LIVE), and; Independent researcher with IGDORE.